It’s incredible what just getting a few kilometers away from the downtown core of Hong Kong Island reveals for visitors. Once escaping the concrete jungle, gridlock and sea of people you’ll find a much quieter and greener part of the city. 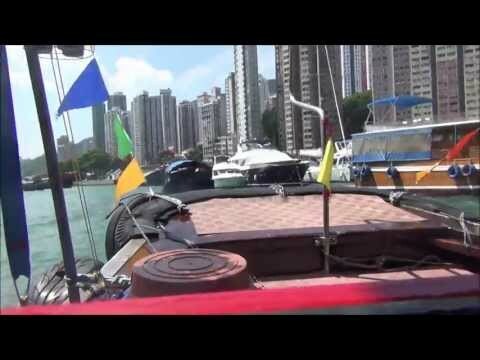 One way to experience something unique is to take a Sampan boat tour of Aberdeen. Home to the Tangka (boat people) who reside in these tiny sampans. So today we’re doing a Sampan boat tour in an area known as Aberdeen outside of central Hong Kong. This is an area that is home to the Tangka people or the boat people who actually live aboard these little ships, so it’ll be an interesting outing. And there are over six hundred junk boats still in this area. Some of them enjoy modern amenities such as internet and tv.